The EFFRA Innovation Portal supports the public sharing of information among stakeholders. 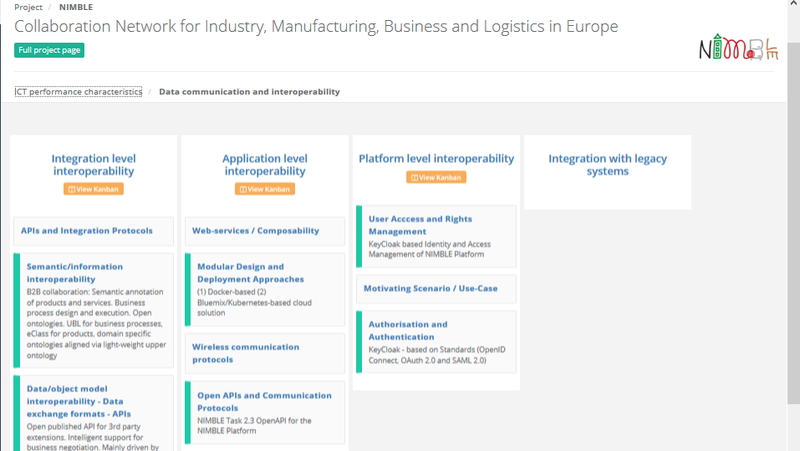 In the taxonomy lists that are implemented on the EFFRA Innovation Portal, additional sections have been introduced that focus on digitalisation of manufacturing, including the deployment of digital platforms for manufacturing. 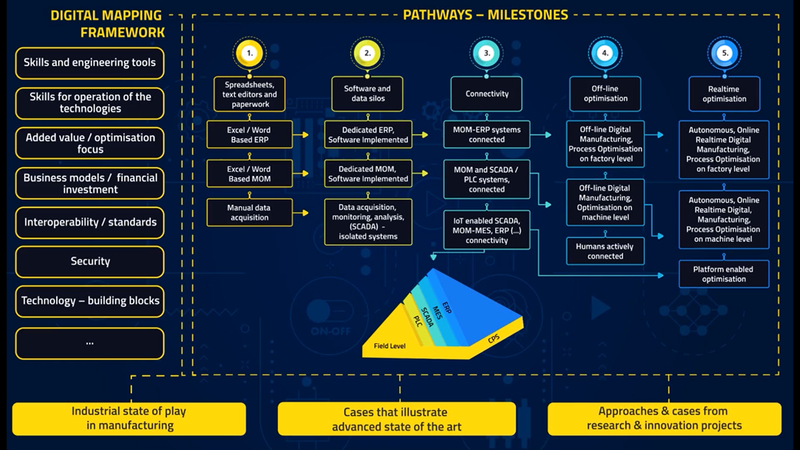 There are basically two components: the cross-cutting factors captured by the digital mapping framework / structured glossary and the digitalisation pathways. See here an example from the NIMBLE project. 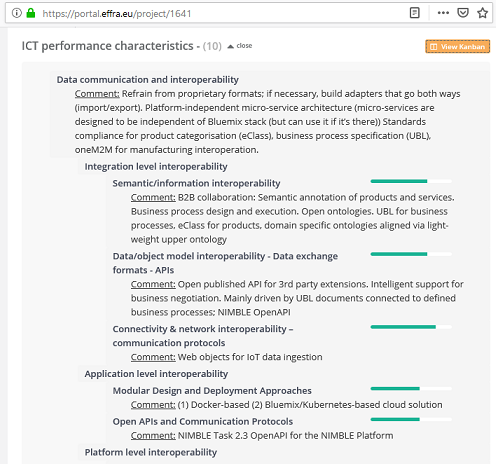 Section 'ICT Performance Requirements - Data communication and interoperability'. Should you have questions about this process and its objectives, then please don't hesitate to get back to us.